Over the past few years I’ve been very privileged to be nominated for different blogging awards by my readers and blogging mates, mainly on my family history blog. Each and every one of these has been a real delight to receive and is rewarding because it means that what I write is appreciated by my readers. It’s so nice to know that others find enjoyment in your stories, and they don’t just disappear into the ether. However since learning that there’s another side to these awards, one clarified here by Caroline Pointer from Blogging Genealogy: Blog Awards & SEO to which I was alerted by Aillin from Australian Genealogy Journeys. As a result of this, I’ve decided that in future I will not be making award nominations. Instead I will focus on recognising my blogging mates by commenting as often as possible on their posts, listing them on my Blog Links page, and using social media to promote posts I particularly enjoy. This should not be taken to infer I do not appreciate the thought and generosity behind any award nominations, as I certainly do, and will certainly acknowledge any future nomination on my blog, but I won’t pass it on. Thank you to all my readers who visit my blog(s) regularly and especially to those who make comments! 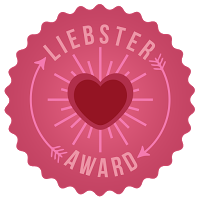 Here is a list of awards to this blog and the blogger who nominated them. My blogging friend Ms Dormouse, from View from the Teapot nominated this blog for the Liebster Award in January 2012.